to provide end-to-end program delivery. Set the rules and policies, own your data - maintain complete control over the recruitment process. Custom web site, education material, instructions, webinars, and communications - bring all applicants, recruiters and stakeholders into the process. Modules for participant registration, fee collection, directories, application integration, rankings, results delivery, statistics - all hosted within a secure, customizable, online platform. All your questions are answered with live-person customer support including 24x7 support around key deadlines. Rank all choices according to your true preference - no strategic gaming or manipulation. Recruiters can specify a desired mix of applicants with different characteristics. Applicants can participate as part of a couple to accommodate preferences for co-location. Recruiters can specify multiple program types and move unfilled positions seamlessly between types. Gain the critical link between application and outcome data - better understand participant decision making and competitiveness. Place applicants into positions based solely on individual preferences. Everyone gets their best possible result, guaranteed by a Nobel Prize recognized and academically proven algorithm. We identify the issues before they become problems - no one falls through the cracks. Link placements so there can be simultaneous matches to different positions in subsequent years. Recruiters can limit the number of placements from a specified group (e.g., international applicants). Results are released to all participants at the same time. 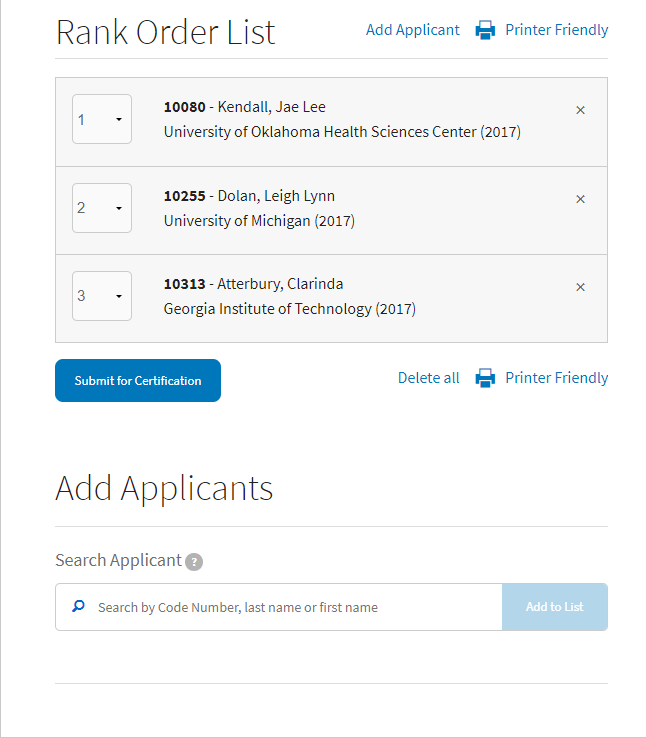 Multiple rounds of Match and online tools help facilitate the filling of any positions that remain available. Extract value added data to enhance planning and recruitment processes. © 2019. 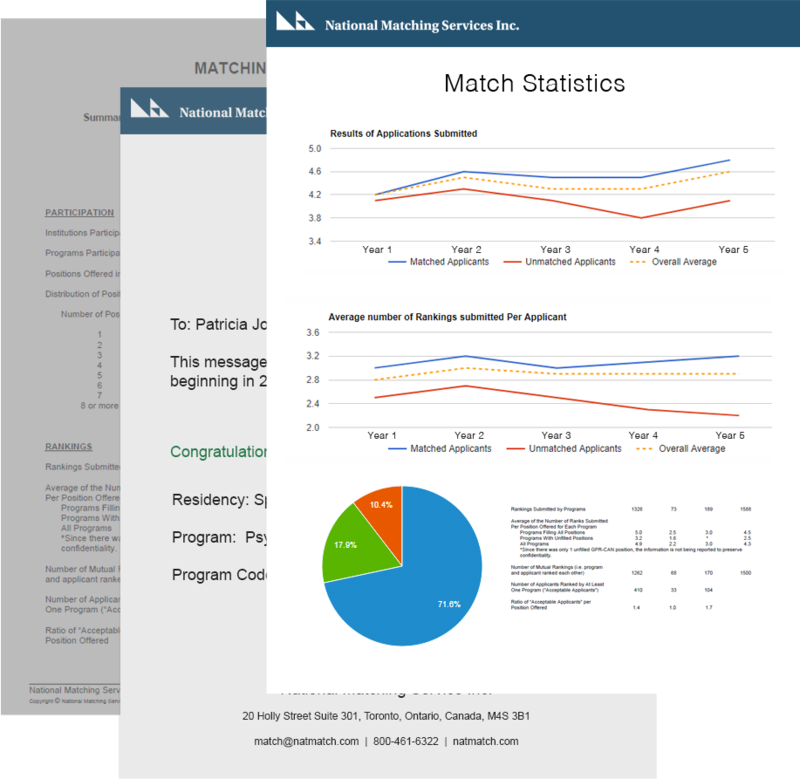 National Matching Services Inc. All rights reserved.